Hudson Valley Community College marked a milestone in the college's history with the official grand opening ceremony of its new $13.5 million facility, TEC-SMART (Training and Education Center for Semiconductor Manufacturing and Alternative and Renewable Technologies), in Malta, NY. Nanyang Business School (NBS) at Nanyang Technological University (NTU), Singapore, has jointly launched a new advanced management programme for leaders in Science and Technology with the Rady School of Management at the University of California, San Diego. New research, led by Professor Mark Kendall, from the Australian Institute for Bioengineering and Nanotechnology, demonstrates that a vaccine delivered by a Nanopatch induces a similarly protective immune response as a vaccine delivered by needle and syringe, but uses 100 times less vaccine. 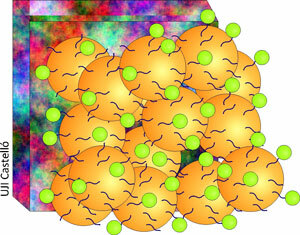 Rice physicists: Odd electron mix has fault-tolerant quantum registry. Can graphene - a newly discovered form of pure carbon that may one day replace the silicon in computers, televisions, mobile phones and other common electronic devices - be made to bend, twist and roll? Physicists at UC San Diego and Boston University think so. It was shown that the presence of hydrogen and/or inert species during Ge deposition significantly improves the quality of the Ge layers grown on Si by solid phase epitaxy. Researchers at imec have developed an innovative strategy to tune plasmon resonances. They do so by breaking the symmetric geometry of the nanostructures, using a combination of bottom-up and top-down fabrication processes. The Cambridge Lab of Toshiba Research Europe today announced a major breakthrough that will allow ultra-secure encryption of sensitive data sent by banks, hospitals and government organisations. The editors of Technology Review, MIT's magazine of innovation, have announced their annual list of the 10 emerging technologies that will soon have a profound impact on how we live and work. Researchers have developed nano-sized cantilevers whose gentle touch could help discern the workings of living cells and other soft materials in their natural, liquid environment. Used in combination with a revolutionary detection mechanism, this new imaging tool is sensitive enough to investigate soft materials without the limitations present in other cantilevers. 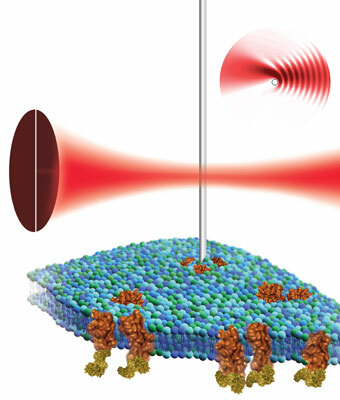 By placing a nanowire cantilever in the focus of a laser beam and detecting the resulting light pattern, scientists at the Molecular Foundry believe atomic force microscopy can be used to non-destructively image the surface of a biological cell. Through new collaborations totaling $6.2 million, the Department of Energy's Oak Ridge National Laboratory (ORNL) and American industry will tackle some of the most critical challenges facing lithium ion battery production.